Exactly ten years ago, I had just started college at Parsons School of Design in NYC. 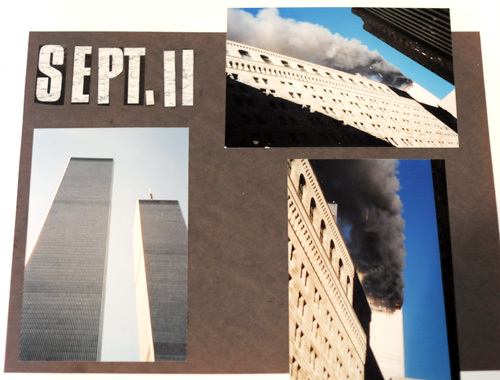 The first week was all those things you hope your first week living away from home would be: exciting, intimidating, liberating...and then September 11th happened and everything changed. 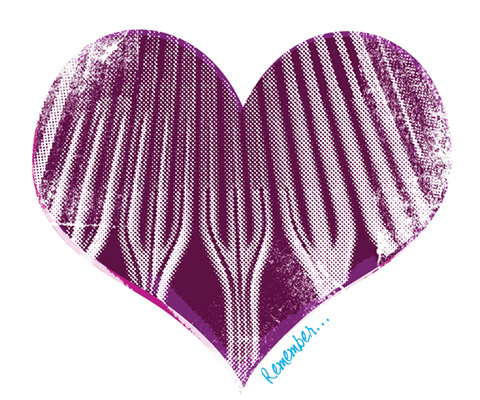 Although it doesn't feel like ten years have really passed, I have thought about that day, every day since the attacks. 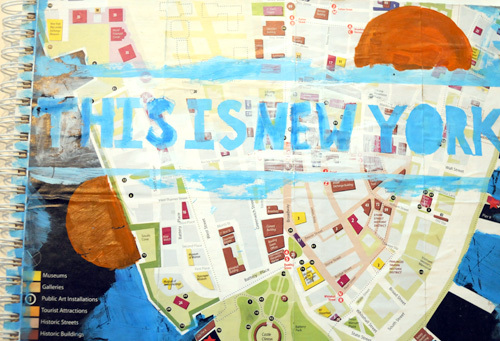 New York City will never be the same. 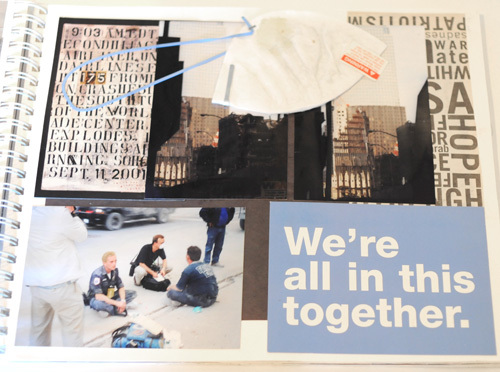 No, we're stronger, braver, more accepting and still more determined to make our city better than it ever was before 9.11. I'm taking the day off from blogging about sweets and today I plan to pray for the families still struggling with the sadness and loss from that day. Upon completing each year in college, I would make a scrapbook of my memories for the year. Here are a few pages from my 2001 Freshman year scrapbook. 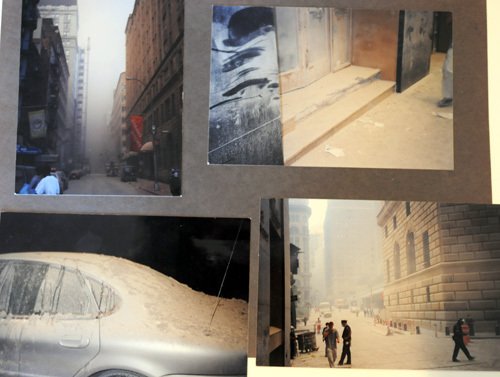 The picture on the left was taking the day before 9.11. 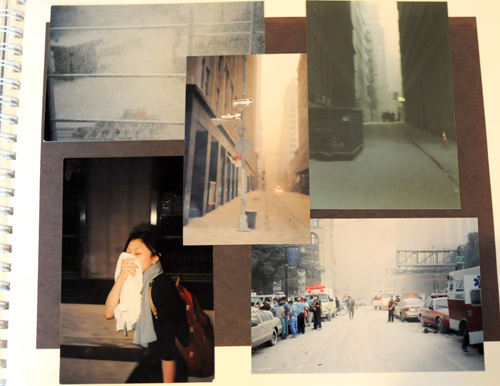 The pictures on the right were taken just after the second plane hit from my dorm on William Street. 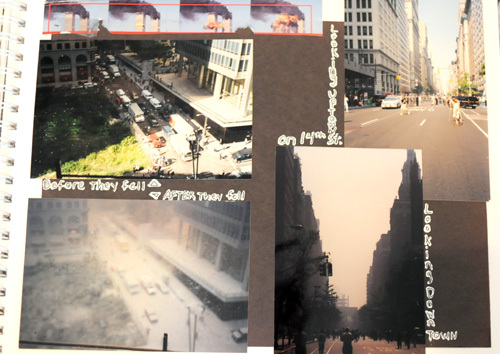 On the left is the exact same view from my window before and after the towers fell. It was clear around 6pm that we were stranded and my college wasn't sending any help for us, so my roommate and I walked uptown alone. These images were taken just outside our building. Note to The New School University: If you ever wonder why I don't give you any alumni donations, now you know why. This is my freshman roommate Janice. We had known each other for only a few days, but we quickly realized that whatever happened that day, we were going to be together through it all. The mask on the top was supposed to be worn in the months following 9.11 as we lived near ground zero and the air quality was pretty awful. Clearly, the mask has been more useful in my scrapbook. Because I lived so close to the towers, I was essentially homeless for a couple weeks after 9.11. I'm blessed to have an amazing family in Maryland to go home to, but my roommates weren't so lucky, so I brought them home with me. 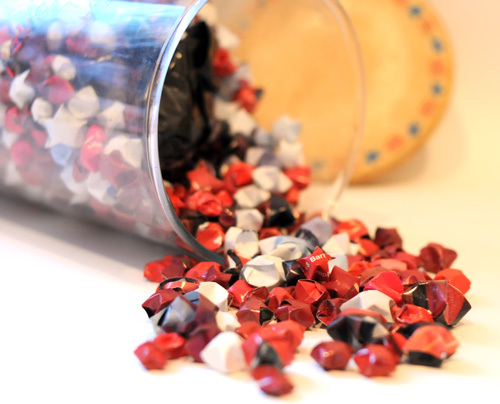 In those solemn weeks after the attacks, we kept ourselves busy by making our tribute to the lives lost. 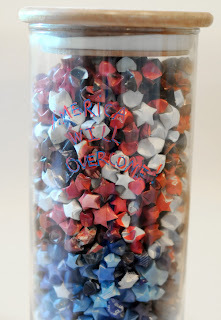 We folded red, white and blue images from magazines into tiny little stars. 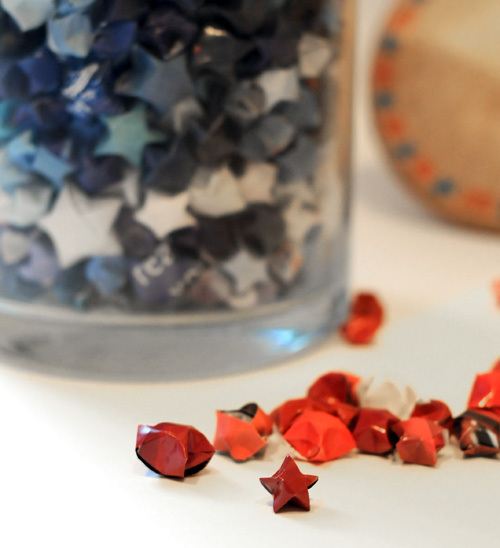 I've saved them all these years and I still think those little origami stars are pretty remarkable. 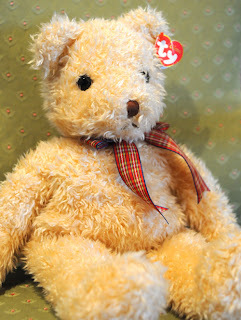 This was the bear that the Red Cross gave me when I came back to the city. I'm not really the stuffed animal type of gal, but this bear reminds me of how the Red Cross helped so many, and so it means the world to me. The Red Cross gave me guidance and reimbursed me for my losses on 9.11. They are the inspiration for this post and I hope that you will join me in remembering 9.11 by donating to such a wonderful organization.